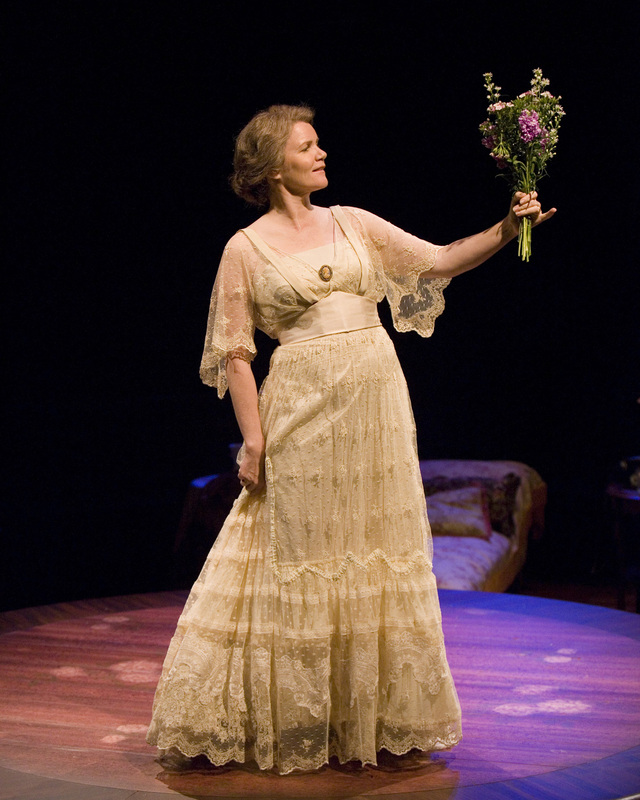 Two-time Emmy Award-winner Mare Winningham as “Amanda Wingfield” in The Old Globe’s production of The Glass Menagerie, by Tennessee Williams, directed by Joe Calarco, playing in the Cassius Carter Centre Stage April 12 – May 18; photo by Craig Schwartz. 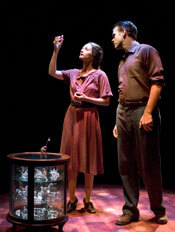 Michelle Federer as “Laura Wingfield” and Kevin Isola as “Jim O’Connor” in The Old Globe’s production of The Glass Menagerie, by Tennessee Williams, directed by Joe Calarco, playing in the Cassius Carter Centre Stage April 12 – May 18; photo by Craig Schwartz. 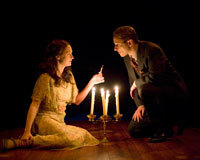 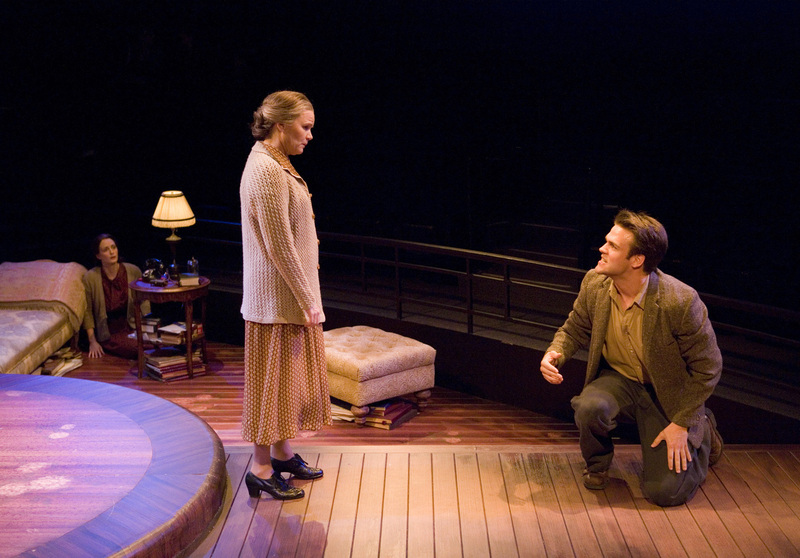 Michelle Federer as “Laura Wingfield” and Michael Simpson as “Tom Wingfield” in The Old Globe’s production of The Glass Menagerie, by Tennessee Williams, directed by Joe Calarco, playing in the Cassius Carter Centre Stage April 12 – May 18; photo by Craig Schwartz. 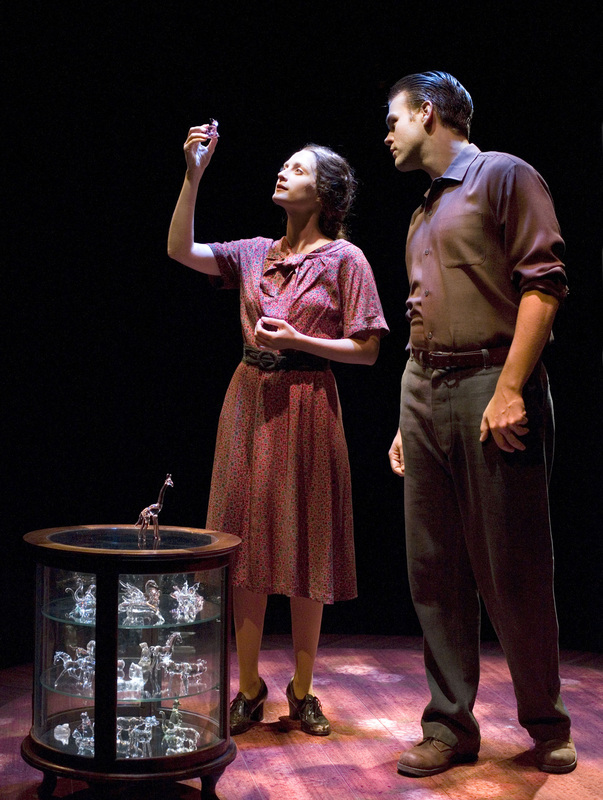 (L-R) Kevin Isola as “Jim O’Connor,” Mare Winningham as “Amanda Wingfield” and Michael Simpson as “Tom Wingfield” in The Old Globe’s production of The Glass Menagerie, by Tennessee Williams, directed by Joe Calarco, playing in the Cassius Carter Centre Stage April 12 – May 18; photo by Craig Schwartz. 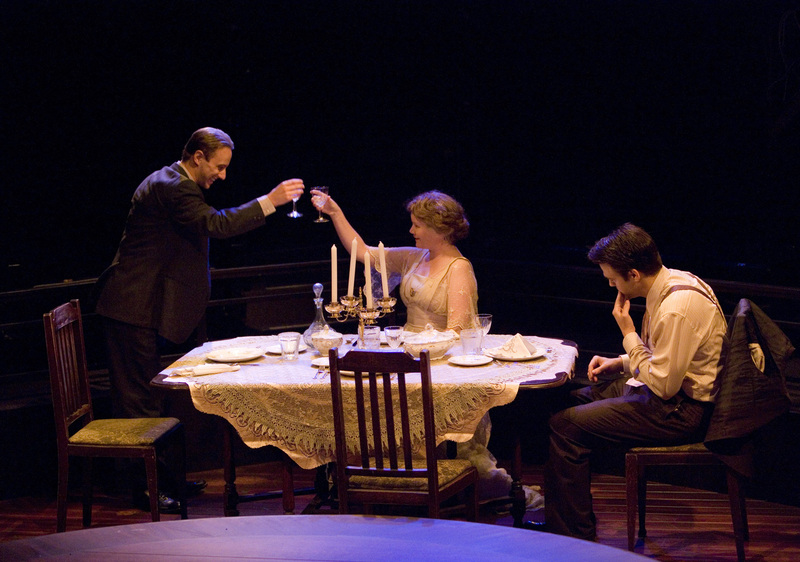 (L-R) Michelle Federer as “Laura Wingfield,” Mare Winningham as “Amanda Wingfield” and Michael Simpson as “Tom Wingfield” in The Old Globe’s production of The Glass Menagerie, by Tennessee Williams, directed by Joe Calarco, playing in the Cassius Carter Centre Stage April 12 – May 18; photo by Craig Schwartz. 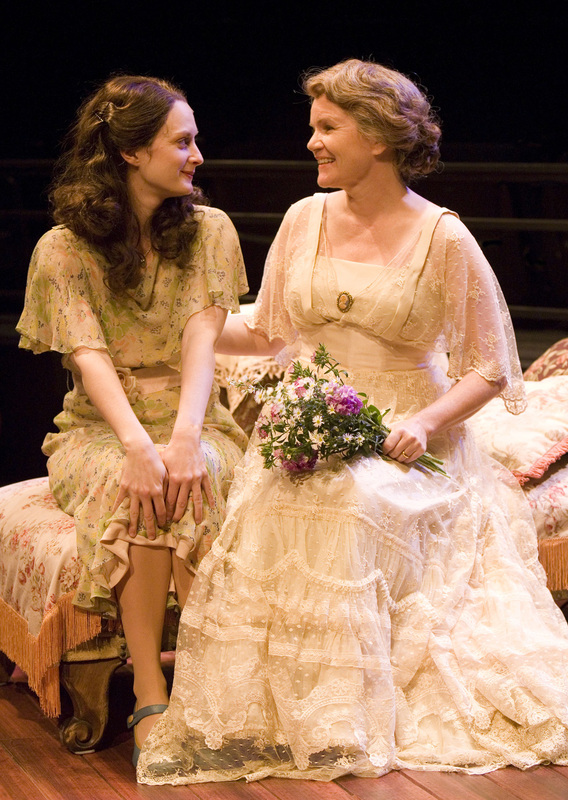 (L-R) Michelle Federer as “Laura Wingfield” and Mare Winningham as “Amanda Wingfield” in The Old Globe’s production of The Glass Menagerie, by Tennessee Williams, directed by Joe Calarco, playing in the Cassius Carter Centre Stage April 12 – May 18; photo by Craig Schwartz.